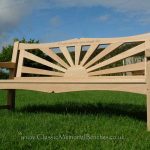 Our Sunshine really is a striking bench! 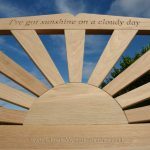 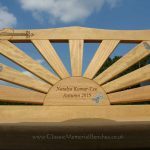 The sun and the rays are made using the same 1¼” thickness timbers that we use for the rails which means that we can use chunky mortice & tenon joints to make up this beautiful sunshine effect. 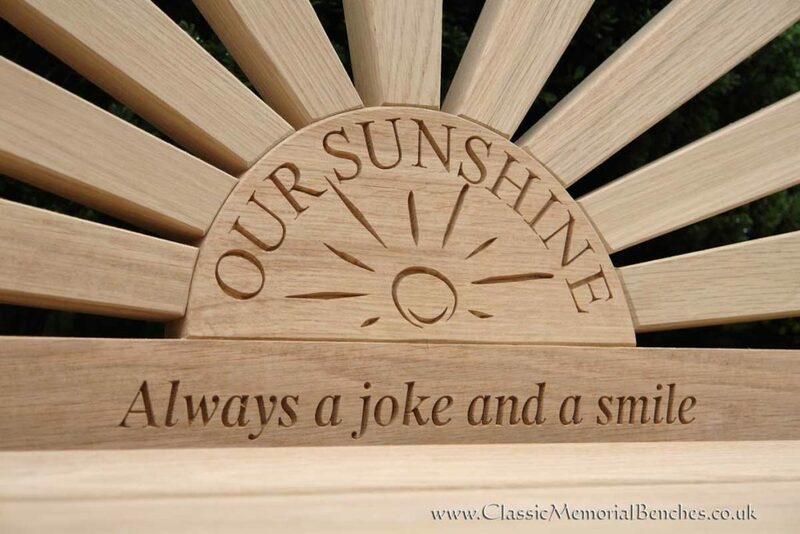 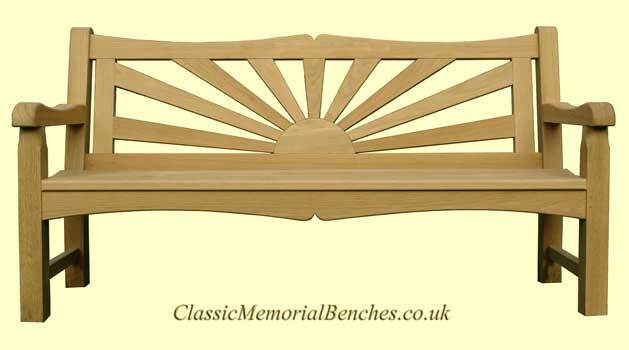 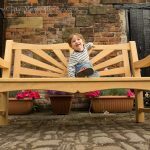 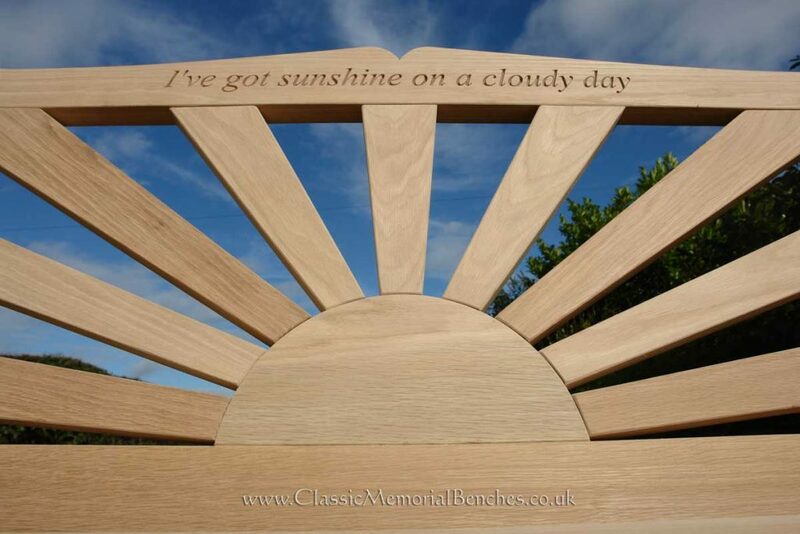 Our Sunshine bench is available in 4, 5, and 6ft sizes. 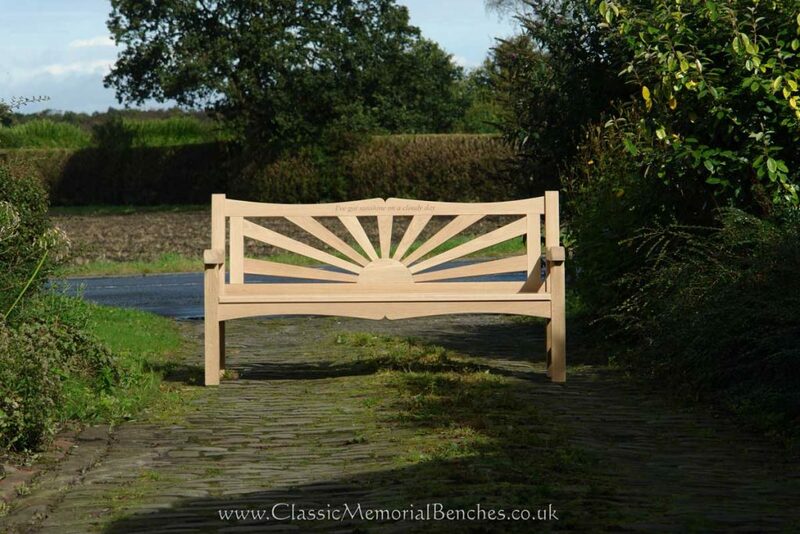 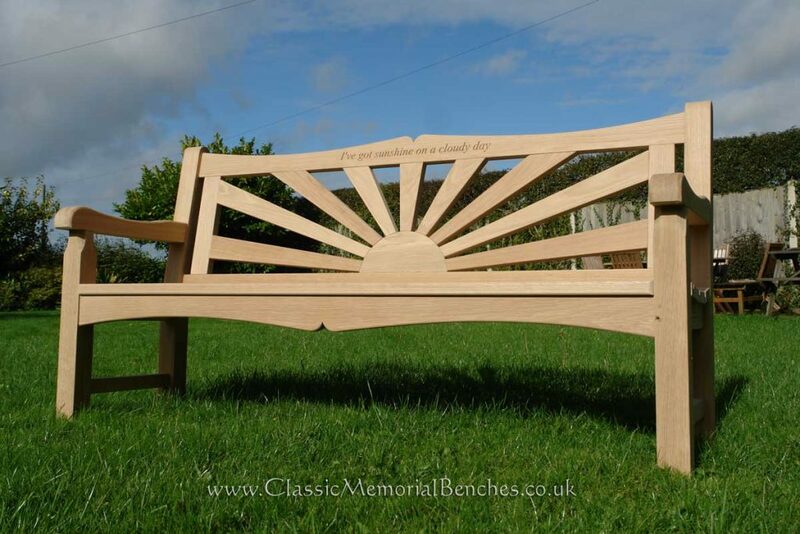 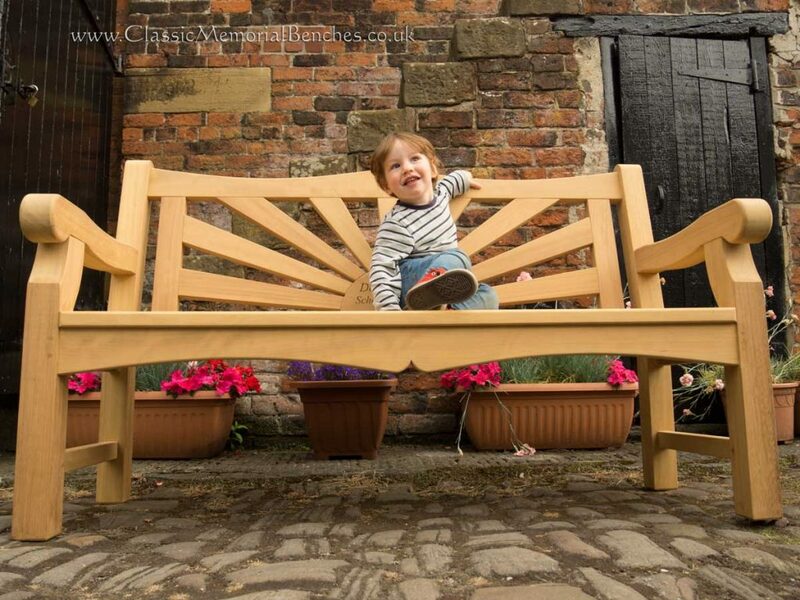 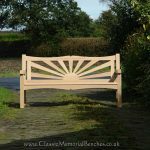 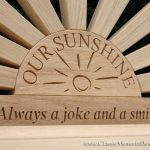 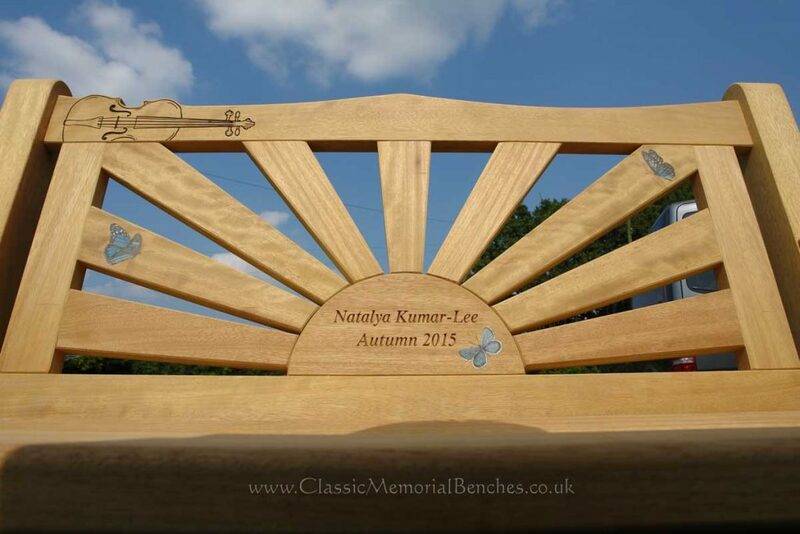 We just want to say thank you for the beautiful sunshine bench you’ve made in memory of our beloved son Adam.